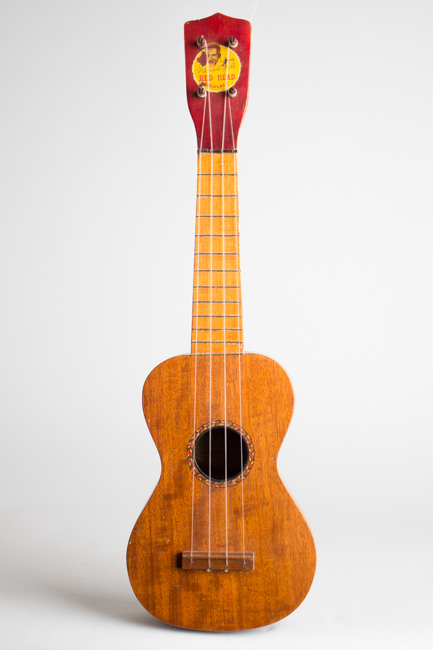 Wendell Hall Red Head Model Soprano Ukulele, made by Regal, c. 1926, made in Chicago, natural varnish finish, koa wood body, poplar neck. Overall length is 20 1/2 in. (52.1 cm. ), 6 3/8 in. (16.2 cm.) wide at lower bout, and 2 1/2 in. (6.4 cm.) in depth at side, taken at the end block. Scale length is 13 in. (330 mm.). Width of nut is 1 3/8 in. (35 mm.). A nice example; all original including the oft-missing wooden pegs, dyed red to match the "red head" on this model only! There is some light finish wear overall but no cracks or visible repairs. 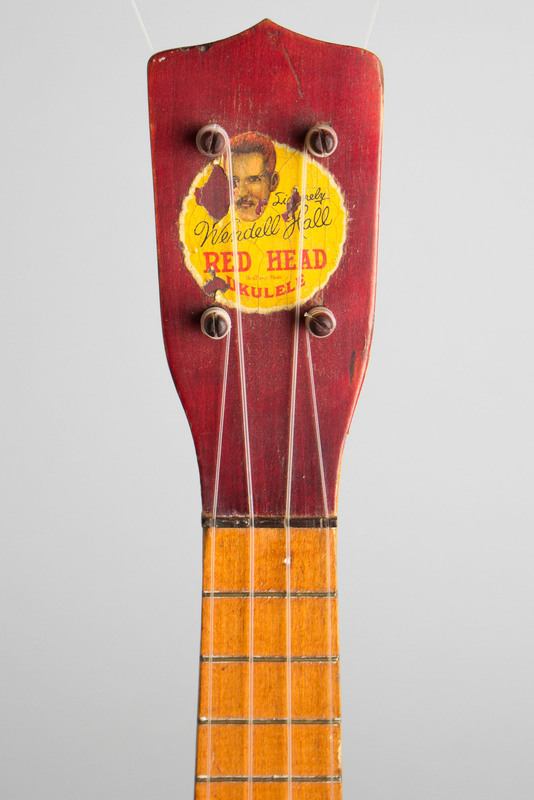 The original color printed headstock decal is partially chipped off, but Wendell's head and signature are still mostly intact, as is the Regal decal inside! 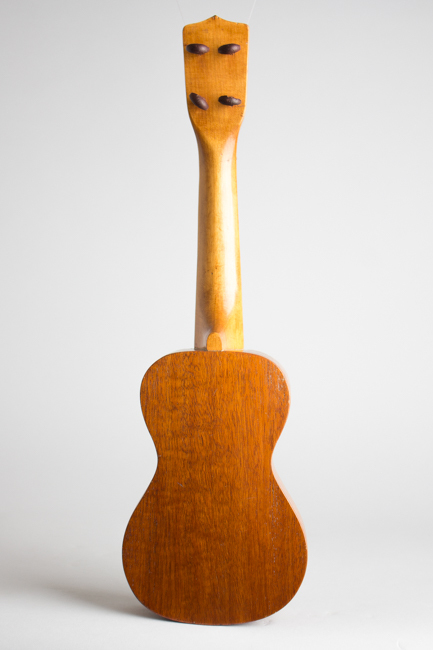 A very nice player; this model was not expensive when new but is one of the best period novelty ukes. Very lightly built with a really good sound. Excellent - Condition.